The most popular girl at the graveyard dance. 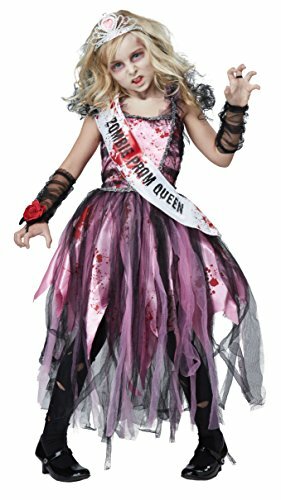 The Zombie prom Queen child costume is a pink dress with splatter graphic print. It features a dress with tattered stripes of chiffon fabric. It includes a sash with print, a pair of glovelettes, a tiara and a flower corsage. Shoes and tights are not included. 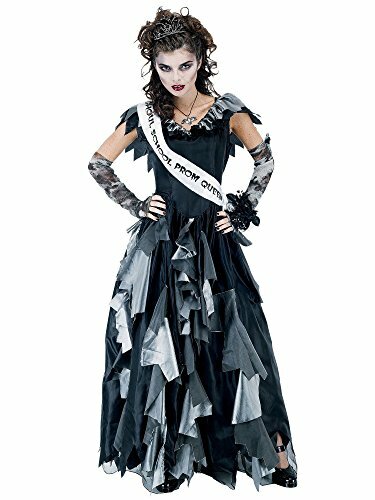 Deluxe costume for the Goth Prom Queen includes sash, glovelettes, wrist corsage, tiara and dress with corset style bodice and tulle skirt. Available in child sizes Small (ages 3 to 4), Medium (ages 5 to 7), Large (ages 8 to 10) and X-Large (ages 11 to 12). Rubie's brings fun and fantasy to dress-up with the broadest selection of costumes and accessories, offering everything from full mascot suits to masks and wigs, from deluxe licensed costumes to simple starter pieces, from costume shoes to character make-up and so much more! Still family owned and still family focused after more than 60 years in business, Rubie's promotes safety in dress-up, so you can relax and have a great time while looking the part. Look to Rubie's for every costume occasion and season: Halloween, Christmas, Mardi Gras, Easter and all in-between. She's dying to win prom queen! 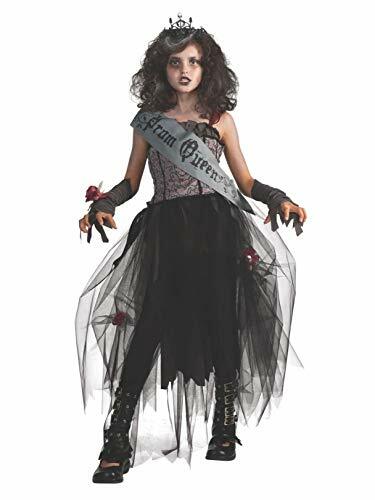 Featuring a Tattered Pink and Gray dress with gauze detailing, our zom Queen costume includes matching arm warmers. Put on your tiara and prom queen sash, and you're ready for the dance! Shoes, tights, and Prop not included. 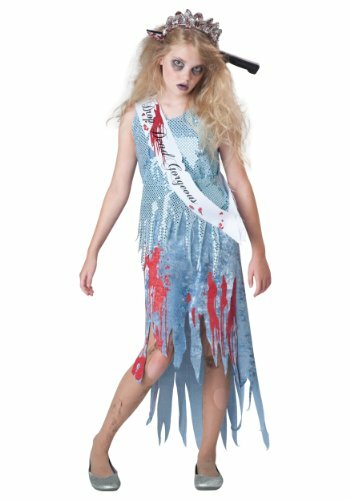 Be this years deadliest prom date as a zombie prom queen. 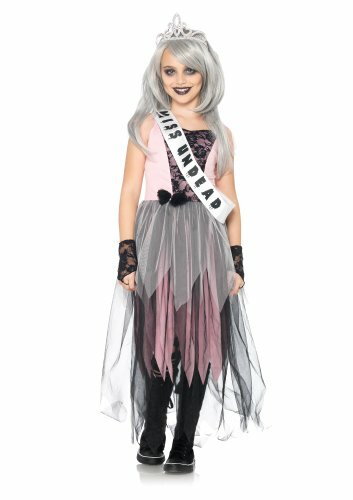 the costume includes the dress, glovettes, sash, and tiara. share the dance floor with your date in the zombie prom king costume. with quality and service at the top of their list, paper magic group offers only the best for your costume needs.